"It is our intention to bring outstanding education in Acupuncture directly to Alaska. By doing this interested students no longer need to travel out of state to study. But more importantly we play a large part in directly impacting the health and wholeness of our own local area of this wonderful world." Are you considering a career in Oriental Medicine? Do you have the desire to assist people on the path to health and wellness through the ancient healing arts? Then look no further to follow your heart. Acupuncture is being increasingly integrated into both conventional medical offices and multidisciplinary offices, because growing public awareness is leading to increased demand on the part of the consumer. Practice opportunities range from hospitals to clinics to private practices. In the U.S., Acupuncture is now increasingly recognized as being useful in the treatment of respiratory illnesses, circulatory problems, digestive problems, and OB-GYN health conditions, in addition to pain relief. The Acupuncture Program at Alaska Institute of Oriental Medicine, Acupuncture & Massage Therapy (AK Institute) is a 4+ year part-time program, Professional Master's level program* that encompasses Oriental medical theory, diagnosis and treatment techniques in acupuncture and related studies, counseling, communication, ethics, practice management, biomedical clinical sciences, and clinical training. Classes and clinical internships are offered evenings and weekends to accommodate students who work full-time. This Professional Master's Level* Program has been designed to meet the requirements for national accreditation. We have initiated this process and it is our goal to be in candidacy status or accredited. If you are ready to embark on an exciting journey into the field of Acupuncture, please contact our school at 907-279-0135. 1. We seek to graduate students who can demonstrate depth and breadth of knowledge in the area of Oriental medicine. 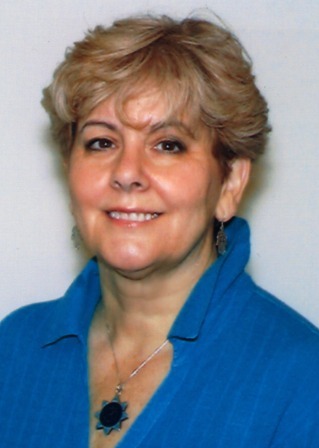 Throughout the program our students will take on the identity of acupuncturist, and the characteristics of integrity, care and compassion, and supportive healer that this identity entails. 2. Through both classroom education and clinic experience, our graduates will be competent at designing and implementing effective treatment plans for the mainstream population. Our graduates will also be knowledgeable and realistic in their scope of practice and limitations, knowing when it is appropriate to refer a person to another medical source. 3. Through clinical experience, our graduates will have an appropriate professional demeanor, strong client communication skills, energetic diagnosis skills, adept needling techniques, and an air of professional ethics. 4. Our graduates will be able to apply their knowledge and skills directly to the unique population of Alaska, and some of the health considerations that are prevalent including substance addictions and mental health issues. This is an important feature for those with interest in travelling to provide services in the outlying Bush communities. 5. 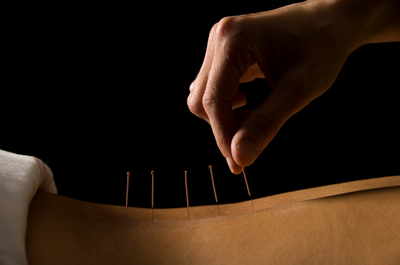 We seek to infuse not only the physical application of acupuncture, but the spirit of the points and energy as well. Our graduates will have a strong foundation is the 5 element style of Oriental medicine and its application. 6. Lastly, one of our most important goals is to provide a journey of self-exploration, self-healing, and personal growth by using the medium of Acupuncture and applying its ancient principles of life to the enhancement of personal health, happiness, and well-being. It is for this reason that our program is not to be rushed through, but savored. 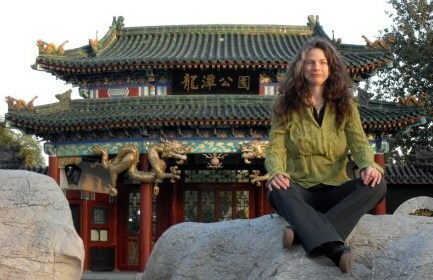 The Alaska Institute of Oriental Medicine, Acupuncture & Massage Therapy offers unique education and advanced clinical training programs in China for professional and student massage therapists and acupuncturists. Advanced education trips are offered up to twice each year in association with several medical and educational training centers in China chosen by us for their quality and expertise in working with foreign students. These exclusive training opportunities are open to our own students and also to any licensed practitioners of Acupuncture, Oriental medicine, and Massage Therapy interested in advancing their knowledge and skills in the specialized field of Traditional Chinese Medicine. The study trips are supervised by our school faculty members to ensure that they meet our high standards for advanced training. 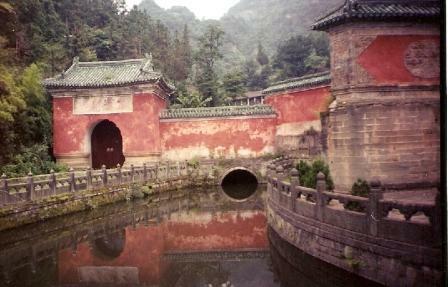 The program also includes filed trips to such places as the Great Wall, the Forbidden City, the Summer Palace, the Llama Temple, Wudang Mountain and Shaolin Village. In addition, participants are encouraged to experience Tai Chi and QiGong practice in the local parks each morning. The mission of the Acupuncture Program at The Oriental Healing Arts School of Massage Therapy is to stay true to the traditional art of training healers by focusing on the experiential self-cultivation methods of meditation, QiGong, Tai Chi, and Yoga as a foundation for the medicine being learned, and combining this with a high quality, thorough, and formal education of the subject matter. Our school is dedicated to training caring, effective, and proficient healers who embody and live the lifestyle they are promoting to their clients. Our students begin school with their own, unique, personal healing journey. Throughout the program the same methods of healing being studied are also personally used and experienced. This profound effect builds direct confidence and belief in the methods being learned. We strongly believe that Acupuncture is a vital medicine, to be used alone and also in conjunction with conventional medicine, bodywork, nutrition, and herbal therapies. As the field of complimentary alternative health care continues to grow we expect our graduates to enjoy a satisfying and prosperous career. It is our intention to bring outstanding education in Acupuncture directly to Alaska. By doing this interested students no longer need to travel out of state to study. But more importantly we play a large part in directly impacting the health and wholeness of our own local area of this wonderful world. For detailed courses and descriptions please download our catalog. This notice is for all students enrolling in all or any portion of the 2120 Hour Acupuncture Program. ACAOM accreditation requires that we hold classes in our 2120 Hour Acupuncture Program for a minimum of one year before we may apply for candidacy status for accreditation. This benchmark has been reached. At this time our school is not accredited by and is not yet in candidacy status through ACAOM however, we are actively pursuing this process. We have intentionally designed our program to meet or exceed all of the minimum requirements for students that successfully graduate to be eligible to sit for the NCCAOM exam required for licensing in Alaska and most other states. In all good faith, it is our intention for our school to be in candidacy status or have received accreditation status on or before the time that students will have completed the 2120 hour program, thereby ensuring eligibility to take required exams for licensing. As it is beyond our control, we cannot guarantee that we will be accepted into candidacy status or receive accreditation. Students must clearly understand that if we are not approved as an ACAOM candidate leading to accreditation by ACAOM, you will not be eligible to sit for required exams in Alaska and any other state that requires the exam by NCCAOM, and thereby will not be able to practice Acupuncture as a profession in any state that requires the NCCAOM exam. No school can guarantee the transfer of credit for education received at another institution. We cannot guarantee that your education received with us will transfer to another school. 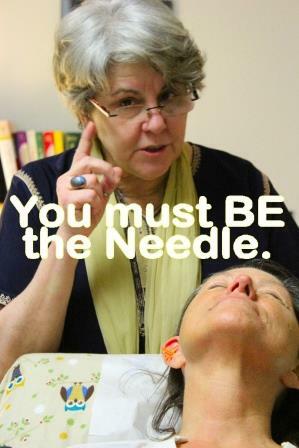 You agree that you clearly understand that at this time your education is not eligible for professional licensing purposes in the career field of Acupuncture. You also agree that you may not hold Alaska Institute of Oriental Medicine, Acupuncture & Massage Therapy liable in any way in the case that your education is not eligible for exam purposes with NCCAOM. In no way is it stated or implied that any tuition refund would be due to you if you are not eligible to take the NCCAOM exam. The idea of acupuncture first captured my imagination 40 years ago and at some point along my journey, it transformed from curious interest to passion. Learning acupuncture and practicing this ancient art and science, has transformed my worldview and my inner view. I love this work deeply, and it is my great joy to offer this wonderful healing tradition to you. I want to share a personal story with you. Acupuncture is only one of my great passions. Another is Afghanistan. A few years ago I was visiting a remote area of Afghanistan with my Afghan brother and sister. Of course, I took my needles with me. A woman I was sharing a meal with spoke to my sister about a problem she was having and my sister offered my services. As things happen in small communities, news travels fast and before long, there were a couple dozen women at this woman’s home, wanting to have some “medicine needles.” I thought language would be a problem as my Persian was limited, but by using the observation skills I had learned and reading their pulses, I was able to understand something of their suffering and treat them effectively in spite of the language barrier. The language of the needle is universal. One of the women I treated had a brother who was a sort of local elder. He was adamant about not sending his daughter to school. The day after I treated this woman, her niece showed up in school. I was moved by this news because it reminded me of a traditional saying in Oriental Medicine, “the superior physician treats the community.” Who knows, perhaps this young girl will choose the path of a healer. At the Alaska Institute, we are not just teaching an ancient technology. We are part of a greater community – a community that includes indigenous traditional healing practices. We honor those traditions and we strive to integrate an understanding of Native healing practices and cultural traditions as part of our curriculum with our Oriental Medicine philosophy of healing, so that those we teach may better serve our local communities. This greater community also experiences suffering in the form of addictions, domestic violence and poverty. Our Community Acupuncture Program is a step in our journey to offer our healing hands and needles to this greater community. In Alaska, there is a hunger for practitioners of holistic medicine to reach outlying areas where there are limited resources. 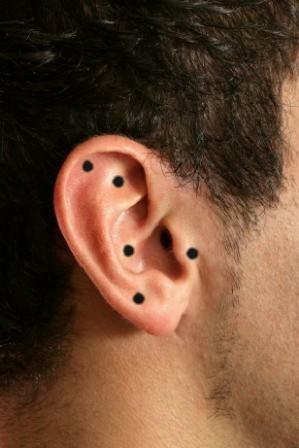 Our Auricular acupuncture course includes the NADA protocol for treating addictions, which has proven to be an effective treatment in reducing drug dependency and recidivism. I want to you invite you on the journey of a lifetime. Our school has been called a “jewel, hidden in the Arctic”, and with good reason. Here, we are deeply steeped in Taoist spirituality and philosophy as the basis of the medicine. Far from a religion, this philosophy calls on a person studying to become a healer, to take this as a sacred calling, and to place dedication into becoming a better person through various ways of self-cultivation such as meditation, yoga, qigong and tai chi. It takes time to build the bones of a healer as we first travel our own healing path. This is not learning that you want to rush. For that reason, we have designed our program to be part time – you can take 4+ years to complete this leg of your journey. Take your time and savor deeply the vastly different information and personal transformation you will experience along the way. I want to meet you, discuss your vision for your future and what role we might play in it. I say with humility that I AM an acupuncturist. I am constantly amazed at the wonder of those needles and their effects on living beings. When you’re ready to be amazed, give me a shout. I can’t wait to get you started.